Keywords AT+CIPPING syntax, examples, parameters, error, input, response. AT+CIPPING AT command is used to ping any server from Simcom modules. 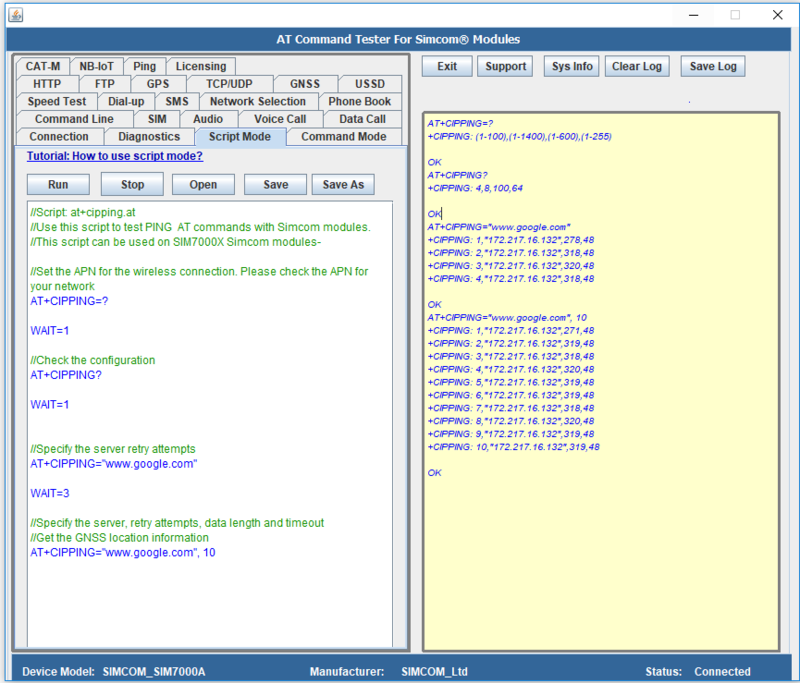 With AT Command Tester tool, you can test Simcom Ping feature. Try the script in AT Command Tester tool. //Use this script to test PING AT commands with Simcom modules. Output of the script in the AT Command Tester tool.